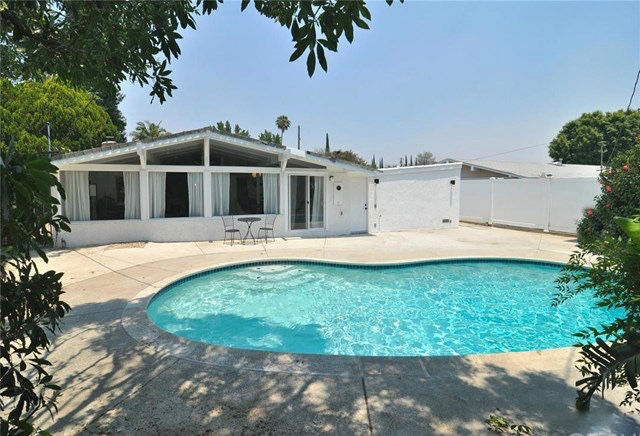 Agent Comments / Exquisite, trendy and sophisticated, describe this newly remodeled 3 bedroom, 2 bath pool home located in lovely Valley neighborhood. 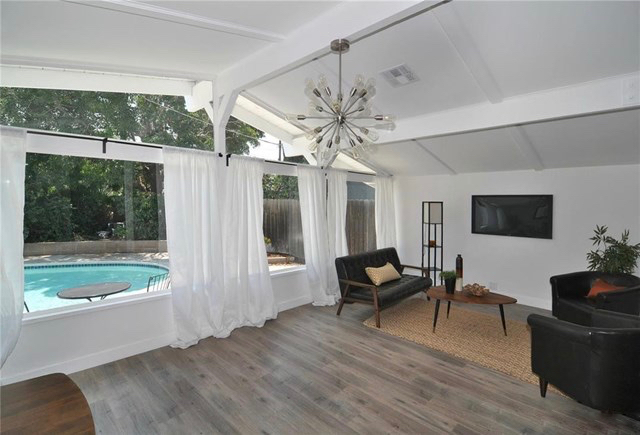 This airy Mid-century modern style home features a wide open floorplan with wall to wall windows, spacious living room, fireplace, soaring ceilings, a true formal dining room, and all NEW flooring throughout. The new gourmet kitchen features modern flat panel cabinetry, quartz countertops, stainless steel appliances and breakfast bar. Bathrooms have been fully updated with beautiful NEW vanities, NEW tile, NEW lighting, and NEW plumbing fixtures. Beautiful,private backyard (low maintenance) with sparkling pool perfect for summer entertaining.2 car attached garage with extremely long and wide driveway perfect for parking multiple vehicles or other toys! Some major systems of the home have been replaced including NEW 200 amp electrical panel, NEW copper repipe, NEW dual pane windows, and NEW pool plaster.